You worked hard to set up your practice and, while you were glad to break even last year, you’re going to have to step things up if you want to turn a profit. One of the best ways to accomplish this is to add ancillary services to your practice. Which Service Should You Add First? In today’s market, there are fewer ancillary services that are more profitable than aesthetics. And of all of the different aesthetic procedures, the best one to add first is Botox®. It is a smart investment for nurse practitioners to find a certified Botox® training program to ensure you start off on the right foot. The addition of Botox® -based procedures will likely help you begin to turn a profit within a quarter or two. This is due to the fact that, in addition to aesthetic purposes, Botox® has a number of medical uses as well. The short answer is: yes. 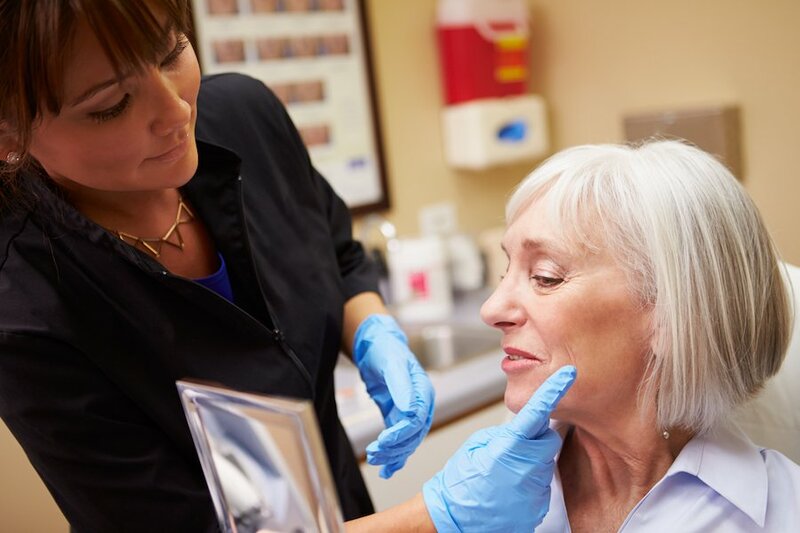 There are two basic criteria involved in being able to offer Botox® to your patients as NPs: getting the proper Botox® training for nurse practitioners and your prescribing rights (or lack thereof). Before you starting offering cosmetic injectables to your patients, you will want to ensure you have the proper training, AANP CE credits, and certification. The IAPAM strongly recommends that your Botox® training for nurse practitioners includes extensive hands-on and practical training as well as education in the aesthetics industry’s best practices from proven experts on skin and dermatology. Please note, the AANP will also accept AAFP CME credits in place of CE credits. Once you’ve completed the proper Botox® training for nurse practitioners, make sure your practice is compliant with your state’s laws. Usually, if you have prescribing rights, you’ll be able administer Botox® yourself. If not, you have to hire an on-site physician to act as medical director when you administer the procedure. Deciding to offer Botox® services and even completing your Botox® training for nurse practitioners program is relatively simple. Actually phasing those services into your practice is more complicated. Here are a two of the areas you need to consider. Should you administer the injections and offer the service yourself? To begin providing patients with aesthetics, start by offering it as a side service that you administer yourself. Then as your clientele grows and your schedule fills up, bring on someone to help manage the patient load. You can have this person start as a part time provider and then move them up to full time if there is enough demand. Most cosmetic and aesthetic procedures aren’t going to be covered by a patient’s insurance. When you use Botox® for medicinal purposes, like to help treat a patient’s migraines, you might be able to bill the patient’s insurance for the procedure. Check with the insurers you accept to find out exactly how they will and will not cover Botox® injections. You should also consult with your own insurance to make sure that any Botox®-related procedures you administer are covered with your medical malpractice policy. Marketing your new service is, as frustrating as this might sound, more trial and error than anything else. How you let the world know that you now offer Botox® will depend upon where you are located, your patient pool, the patients you want to target, your budget, etc. That said, there are a few tried and true methods you can use to get started while you hone your other campaigns’ parameters. This is by far the easiest and most affordable method of marketing that you can use to spread the word about your new service. Simply tell your existing patients, colleagues and network that you’ve added the service to your roster. Even if the person you are telling might not want or need the procedure, they may know someone who does! A simple flier or postcard mailed out to your existing patients is a tried, true, and tactful way to let your patients know that you are starting to add aesthetic procedures to your practice. Depending on the return you get from this initial mailing, you might want to increase your next mailing’s scope to include all of the residents in your local area. You can also put these postcards in your lobby and exam rooms for patients to read while they are waiting. PRO TIP: You will increase your Direct Mail ROI if the postcards you send out includes a discount coupon for the first procedure or two. Every business needs to have a social media presence. You likely already have pages and accounts for your practice on Twitter, Facebook, Instagram and maybe even Tumblr and Pinterest. Use these accounts to announce your new service. Social Media posting is very important in a practice but it is very time consuming therefore you will want to invest in a Social Media service to post to your platforms. Outsourcing your Social Media Marketing will help with your practice engagement and is a great ROI. Note that this is how much you should spend on marketing for your entire practice. The percentage you allocate to promoting your new Botox® services is up to you. A good starting point is usually 10% of your annual budget for the first quarter and then increasing that percentage based on your actual procedural volume for the next quarter. There is no doubt that adding aesthetic services to your practice can increase your clinic’s value as well as its (and your) income. Botox®, in particular, is a profitable ancillary service to offer. Use these tips to help you add this service to your repertoire!